Before working on Dress Up Taylor Swift, Georgie created another Dress Up Sticker Book; this time it was the Australian band 5 Seconds of Summer. Dress Up 5 Seconds of Summer lets 5SOS fans become the stylists for one of the hottest boy bands on the planet! They can dress Luke, Michael, Calum and Ashton in dozens of different super-stylish sticker outfits, and make sure they’re looking their gorgeous best. Packed with real life scenarios that chart the lads’ rise to stardom – from their fun-filled video shoots, to photoshoots and sell out arena tours. 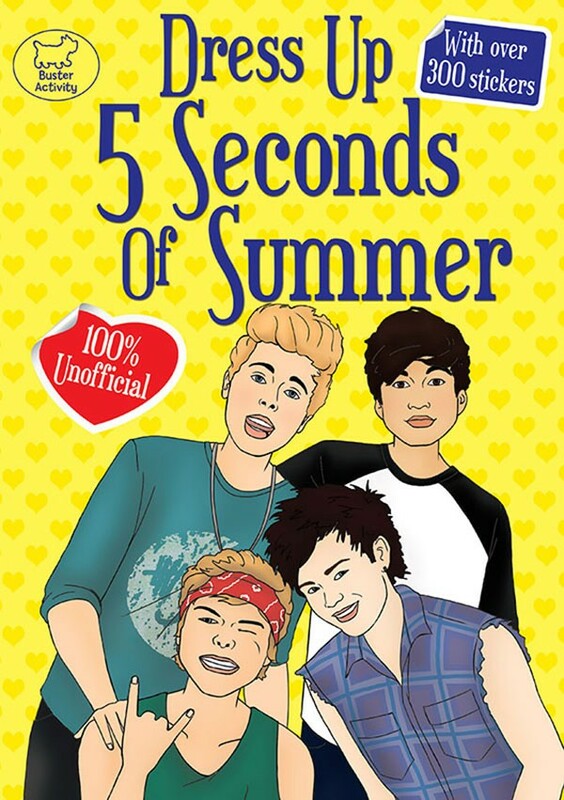 Full of beautiful, full colour illustrations, this book makes the perfect present for any 5 Seconds of Summer fan.